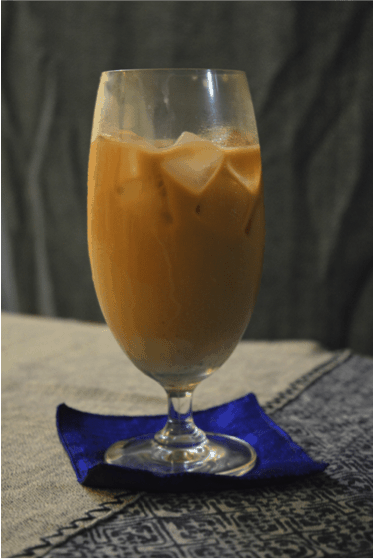 Cambodian Iced Coffee - Chocolate Chocolate and More! Hi everyone, this is Joan’s sister, Gail. Some of you may be unaware that Joan passed away suddenly last week from a heart attack. She went to bed feeling nauseous (which is one of the signs of heart attacks in women) and never woke up. Her family and friends are in shock and disbelief that someone as full of life as she could pass so quickly with so little warning. Please learn the signs of heart attack in women (they are different than for men). Ironically, everyone I know who’s died of a heart attack had nausea as their main symptom so please don’t brush off severe nausea as just the flu or food poisoning – especially if you have risk factors like family history of heart disease or smoking. Joan made it very clear that she wanted her work to continue in the event of her death so my cousin, Kim Roberson, and I will be working to keep Joan’s dream alive. It’s especially important for us to support her three children who are devastated by the loss of their mom. We are gathering on Wednesday, October 28 at 6 PM for a visitation at Rooks Funeral Home in Byron and we will lay my dear sister to rest on Thursday at 10 AM in the Byron Cemetery. While we are mourning our loss, please know that Joan had planned guest bloggers well into the future. This gives Kim and I some time to adjust and plan some posts of our own. We’ve also been blessed with amazing support from the talented blogging community so there will be no shortage of great recipes and ideas in the coming months. As her sister, I intend to honor Joan’s desire to never go a day without chocolate. I hope you will join me in that quest. Since most of you don’t know me, let me introduce myself. I’m a science education professor at Texas State University and the single mom of three kids, Matthew (22), Timothy (19), and Rebecca (17). One of the many things my sister and I shared was our love for baking. We grew up in a house where sweets were rarely allowed and our mother couldn’t cook to save her life. Fortunately for us my best friend was Italian and her family was always cooking. I learned how to cook Italian food first and to this day I’ve never found a restaurant that could match Doris Marsilii’s home cooking. My best friend, Lisa, loved to experiment with pastries so she taught me how to bake. Lisa and I always dreamed of opening our own coffee shop and in college I even had the idea of combining it with a bookstore (this was before Barnes and Nobles got the idea). Too bad we had no funding. Lisa did go on to be a pastry chef though. This year I’m in Cambodia working with university faculty on improving science instruction throughout the country. Baking here is a challenge and I’ll be sharing recipes that even work in a third world country. Joan planned to visit me in Cambodia after Christmas and we had planned a number of posts together of easy-to-make Cambodian recipes. Cambodia was a French colony from 1863-1953 and the French influence is still very evident in Cambodian cuisine. The French brought their love of coffee, pastries and bread to Cambodia and that stuck. Café’s are everywhere in Phnom Penh and according to my coffee-loving friends, the coffee here is amazing. Every morning here at the Royal University of Phnom Penh we have a mini-staff meeting at one of the food vendors. These little restaurants are all al fresco and we’re very close to the equator here. Since every day is hot and humid (think Houston, Texas without air conditioning), iced drinks are particularly refreshing and the top cold drink on everyone’s list is iced coffee. Cambodian iced coffee tastes very similar to Haagen Dazs coffee ice-cream but it’s creamier. Now, I’m not a coffee drinker. I love my morning cuppa (tea) and I never drink coffee in the States. However, I drink Cambodian iced-coffee nearly every morning while I’m here. It’s just that good. Here’s a photo of the $0.50 cent variety at the Royal University (Sorry for the poor quality. I only had my iPhone on me and was rushed before our meeting). Every coffee shop here has its secret recipe (coffee blend and ratio of coffee to sweetened condensed milk). Some put in more coffee and some put more sweetened condensed milk so change the recipe to fit your tastes. I’ve put the typically sweet ratio in my recipe. ¾ cup strong black coffee (dark French roast works well). Make strong black coffee. Strong drip coffee works or you can use a French press. Let coffee cool a bit so it’s not scalding hot (lukewarm is best). Pour ¾ cup coffee into serving glass. Mix sweetened condensed milk into coffee to taste. 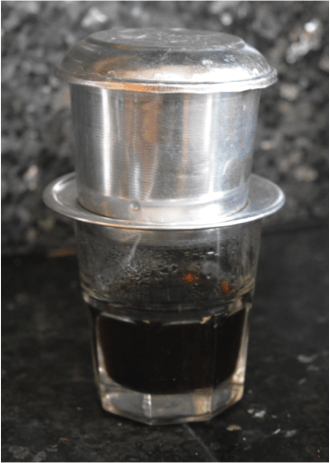 To make coffee the Cambodian way, put two tablespoons ground coffee into a Vietnamese coffee filter (or French press). Pour 1 cup boiling water over the grounds and let it drain into the cup. Cambodians pour the hot coffee over the grounds three more times to fully draw out the flavor. 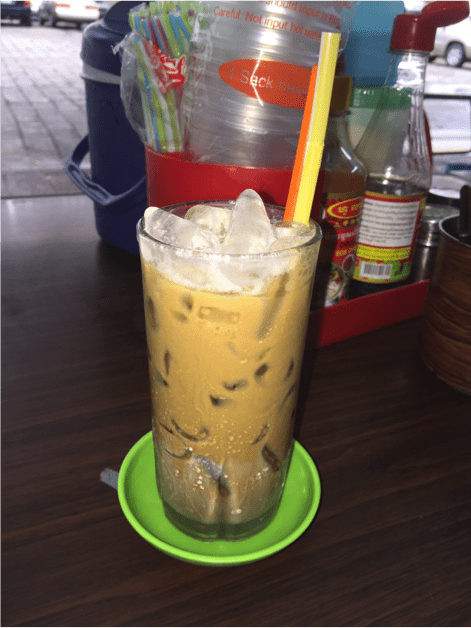 Many Cambodian coffee shops make layers by pouring sweetened condensed milk into the bottom of a glass, carefully adding the coffee on top and then adding ice to fill the glass. Cambodians also drink this hot so if you live in a cold climate, give the hot version a try. Either way, raise your glass and remember my sister as you enjoy this sweet treat from the other side of the world. If you want to spice this up for the holidays, add a shot of Kahlua or Baileys to your mixture. So sorry to hear the loss of your sister, I have been following her for a couple of years, Loved her recipes. I have made a quite of few of them, I will make this Combodian Ice coffee,, I will cherish the taste and the wonderful recipes she has share with us over the years. Thanks Mary. I hope you keep coming back for more. Kim and I will be sharing some cherished family recipes for the holidays. Although I didn’t know Joan personally, I feel her loss in a unexplainable way. A sadness fills my very soul. Let me extend my heartfelt condolences to you and your family and friends of the family. Please know although I was a fairly new to her site, I looked forward to her new recipes and to seeing her smiling face . I also love anything chocolate but am reduced to dark chocolate since I have to watch sugar in my older age. Thank you for continuing her legacy and also for the alert about the severe nausea . I am sure it will save lives and ultimately maybe my own or someone I know . I will keep you all in my prayers. Gail, I am so very sorry for your loss. I never met Joan in person but was in online blogging groups with her. I learned so much from her. She was always extremely generous in sharing her vast knowledge about blogging, and always nice online. Thank you for taking the time to write this post during this difficult time. Our thoughts and prayers are with you and your family. My prayers are with you and your family during this time. I lived in Houston before marrying my Canadian husband. I giggled when I read your description of Cambodia. God bless you for keeping this blog alive. Joan was always kind and generous with herself through this blog. She will be deeply missed. And thank you for sharing the need to know the signs of a heart attack in women. I had no idea the early warning signs were different for women. May you be richly blessed and know you are in my thoughts. I have just read your post and am now in total shock as well..!! Joan will be so missed it’s her posts that gave me the confidence to bake more and her 3 min Fudge is a staple in our house. My heart felt condolences go out to your entire family from here in England and I and my boys are gonna make some chocolate fudge tonight and celebrate a wonderful mother ,wife, sister ,aunt and inspirational blogger. God bless you Joan heaven has another beautiful star. I am sorry to hear of the loss of your sister. I live in the northeast and have enjoyed her recipes for some time. Thanks for putting the warning sign in for us to learn from. Although I didn’t know your sister her post were always a bright spot to enjoy. Best of luck getting through the tough days ahead. I meet Joan in person for the first time in July at a conference. I’ve known her for a little over two years in the blogging world. I am truly sorry for your loss and for her children. Thank you for what you are doing and keeping this dream of Joan’s alive. She will be missed. So sorry to hear of Joan’s passing. Prayers and sympathy for her entire family. Thank you Gail for the update and posting. I am sitting here with tears streaming down my face! Though I didn’t know Joan personally, I have looked forward to her posts/blog for a long time. I have loved reading her words, and love her recipes. I have incorporated many of them into my life! Having 3 sisters of my own, I can only imagine the heartache you are going through. Sending prayers for strength, peace and comfort to you and all Joan’s family/friends! Thank you for letting us know that we have lost a bright star. I look forward to seeing continued recipes, from you, and thank you for taking up her cause. I know she is smiling down upon you, and wishing you well in all your endeavors, as do I. Blessing and prayers to her entire family/friends! I was so sad to hear of the passing of your dear sister. I know she held a special place in your heart and will miss her terribly. I will keep you and your family in my prayers during this difficult time. Thank you for writing this post and for continuing Joan’s precious dream. She brighten my days, and will be missed. Dear Joan’s Family, I am very sorry for your loss. Living on the West Coast I never had the pleasure of meeting Joan but I’ve enjoyed her postings for some time. Hugs and prayers to you and your entire family. The facebook baking community mourns with your family. Blessings to you! I am so sorry for the loss of your sister. She felt like family to me too. I loved her recipes and will always think of her when i cook one of them. I like that your keeping her blog and dream going. My prayers and thoughts go out to you and the entire family. We will all truly miss Joan. Thank you all for your kind words. I’m sitting at the Phnom Penh airport crying. It will be a difficult journey but with your love and support we will all get through it. I am so sorry for your loss of your beloved sister. I am sitting here in shock, crying about someone I never met, but loved through her blog. Through her recipes she brought joy and pleasure to me and my family. I had an unexplained heart attack at age 54. The “widow maker” just came upon me. No pre-existing conditions, or warnings. I know how this can happen suddenly. We should all be aware of the warning signs of heart problems in women. Thanks for keeping her dream alive. I will keep Joan in my prayers. So very sorry. Please know that my thoughts and prayers are with you and your family. Gail, I was shocked and saddened to learn about Joan’s death. Just from knowing her via the blog, it was clear that she was a vibrant person full of joy. I”m delighted you and Kim will keep the blog going. Just reposting some of her earlier recipes will keep readers satisfied for quite a while. I look forward to learning about Cambodia and its foods as I will be in Siem Riep briefly in late January. Sending prayers for you and your family. I am so shocked and saddened by your loss. As a fellow Georgian, I always enjoyed her blogs. My sympathies to you and all of her family. I am so very sorry to hear of such a great loss. Please know that you and hyour fmily are in my thoughts and prayers. I have been a subscriber for a while now and always looked forward to my emails from Joan. Not only for her recipes but for her posts as well. A bright, enchanting star has gone home and she will be greatly missed. So sorry to hear of Joan’s passing. Praying for her entire family. Thank you Gail for the update and posting. I have looked forward to new recipes when I would open my email. I am thankful that you will be continuing to post recipes. I will start sharing some of my recipes. Where do I send them? Again sorry for your loss! I am so sorry to learn of the loss of your sister. I looked forward to, and will continue looking forward to, chocolate chocolate and more posts. I also believe that some chocolate is not only wanted but needed in my daily life. My thoughts and prayers are with you. Gail, although I did not know Joan personally, her recipes are amazing and I have tried many of them. Please accept my condolences to you and Joan’s family, what a terrible tragedy. My thoughts and prayers are with you. I wish I could be there tomorrow to celebrate your amazing sister. I have come to know Joan through our blogs, and she spent a weekend here in California with me and a few other blogging earlier this year. She will be so greatly missed. Thank you so much for sharing her with us. May she rest in peace. My thoughts are with you during this difficult time, and know that we as a community are here to help carry on Joan’s legacy. Gail, Joan was so excited to visit you in Cambodia, as we chatted about it a couple months ago. I last saw Joan in Seattle in September, and we went on a chocolate tasting tour around the city. She was able to try all these different chocolates from around the city (and the world!) and have a cup of coffee along the way, just as she liked it. She will forever be missed as she was a dear friend to me (we spent a week in the Caribbean together, and a long weekend in Santa Barbara, CA earlier this year) and I’ll always remember her genuine, gregarious spirit and laugh. Thank you for keeping her blog alive! My deepest sympathy to your entire family. Joan made an incredible impact on the food blogging world and will be greatly missed. Thank you so much for continuing to share recipes. I look forward to more Cambodian recipes. Please know that you have the full support from the blogging community and we are here to help you in any way. Gail, I’m so sorry to learn of your sister’s passing. My heart goes out to your entire family. Joan was an amazing friend and she will never be forgotten. Her loss has rocked the food blogging community where she touched countless lives. She was so excited to be headed to Cambodia to spend time with you. I’m glad you’re carrying on her legacy. My prayers are with you and your family. Joan was such a force of life and laughter, the world lost a good one. Gail, I was so shocked and stunned to hear of Joan’s passing. I’ve been following her for a couple of years now, and always looked forward to her posts. She was one of my very favorites. I’m so glad to see that her blog will continue – it was obviously very important to her, and you could definitely tell by the way she wrote. Many prayers of peace and comfort to you and her entire family, especially the kids. I’m so sorry for your loss… I sent Joan an email regarding a recipe that I use and love to this day! Just made it last week… Dark Chocolate cream pie. OMG sooooo good! She was a lovely person and had so much to offer! Glad to hear you will continue her mission! Gail, your sister was quite a lady. We met in person for the first time, last year. We sat down to a meal. Joan had this readiness to laugh and kind heart and she simply shined. I was so looking forward to seeing her in Chicago next week. Thank you for continuing Joan’s amazing site and legacy. My love to you and your family. The food blogging community truly adored Joan and we are all so sad with her passing. I am so very, very glad that you will continue CC&M in her honour. Please know we are thinking of all of you, her friends and family, at this difficult time. Myself and the whole blogging community are truly feeling the loss of Joan. I have known her for a few years and we chatted in some way almost every day. I had lunch with her at the top of the Space Needle in Seattle just a few weeks ago. It was a great meal with lots of dessert. Wish we could all be at her services. I’m so sorry to hear of Joan’s passing. My deepest sympathies! I’ve enjoyed her blog so much, and I think it’s wonderful that you’re continuing it in her memory. Your post is beautiful at such a time as this. I’m very sorry for your incredible loss, especially for her children. Honoring her memory with the daily tradition of chocolate is precious, I may have to get on board with you. I am so sorry for your loss! I always look forward to see what kind of yummy chocolate recipe she made. My heart goes out to you, her kids and all the rest of your family. Hugs and prayers to your whole family! I am truly sorry for your loss. I am a blogger from India and have been reading her blog for a long time now. It inspired me in so many ways. It’s hard to believe that she is no more. I commend you for keeping her blog alive and running. If there is any way I could extend my help towards her blog, it would be my pleasure. I am in complete shock to hear of Joan’s passing. I read her mail every day and almost hear her happy voice in my head. My deepest sympathies to you, her kids and the rest of her family. I recently made her Double coffee chocolate cake with chocolate fudge frosting and it was a huge hit!! I will definitely continue to follow this wonderful blog. With love from South Africa. Gail, I am so very deeply sorry for your loss. Joan made an incredible impact on the food blogging community and we will all miss her dearly. Thank you so much for continuing to share recipes. My thoughts and prayers go out to you and your family. I am so sorry for your loss! While I never met Joan in person I was in some of the same blogging groups as her online. She was always ready to help anyone that needed it. She will be greatly missed. I am glad that you are keeping her dream alive. The blogging community will be here to help you along the way. Gail, I am so very sorry for the loss of your sister, Joan. I understand the pain of the loss of a dear sister as I lost my sister in January, 2014 and it still hurts so badly. I have always enjoyed Joan’s blog and her wonderful recipes that I tried many of them. I will keep you and your family in my thoughts and prayers. I look forward to continuing to read the blog in your sisters memory. All the best! We are so sorry for your loss. Joan was a wonderful person and her memory will live on with us all. This is such a sweet idea to keep her blog going and her fellow readers will be happy to see her dream continue. I am so very sorry. I didn’t know Joan and I didn’t know of her website. Someone I really like and follow mentioned of her passing and your situation to support the children. I am signing on to your blog and I will share hers and your recipes as often as I can. My prayers are with you. I was lucky enough to have met Joan a few times. I immediately liked her. She was so full of knowledge and loved to share and teach new bloggers. I came to think of her as my Fairy Blogmother. She has an infectious smile and was one of the nicest and sincerest people I have ever met. I will miss her. Sending her family a big hug and prayers. I am so sorry for your loss. Sending my prayers for you and your family. Thank you for continuing Joan’s blog. I have followed her for quite some time. Blessings. I am so very sorry about the loss of your sister. I enjoy coming to this site for recipes and will continue to often and help keep her memory alive. God bless you, I will be praying for you in these next few days for God to give you strength and peace. Hugs. I am so sorry for your loss, as I just learned of it from Crazy For Crust website. CC&M is one of my favorite websites, and I am so glad that you will be continuing Joan’s passion! What a tribute and huge way to keep her memory alive. Heartfelt prayers to you, her children, and your entire family. I am so very sorry for this huge and so very sudden loss. Best wishes to you and your new endeavor! We don’t know one another yet but I want to off my most sincere condolences. We all loved Joan so very much. I can’t fathom your loss. As you get to know me you might notice that I have a coffee obsession… So this is calling my name right now. I am so sorry for your loss. I have enjoyed Joan’s blog so much. Your family is in my thoughts and prayers at this difficult time. Prayers and hugs to you and your family. I was fortunate to meet Joan this past summer at a bloggers conference in Orlando. She was the type of person that I was instantly drawn to and we became friends immediately. All of the blogging community misses her immensely. I am so glad her legend will live on. This was shocking news! My sincere condolences to your entire family, particularly Joan’s children. I’ve enjoyed Joan’s blog and recipes and hope to see (and try) more of your family treasures. Best wishes to you all. Hi Gail. I’m a newcomer to this blog, but I’m so sorry for your loss. My brother and sister are also in Georgia, and I’m on the other side of the world (South Korea). I can only imagine your pain, but my thoughts are with you and your family. There are no words to bring any sort of consolation. The sudden loss of your sister must feel like you have been side-swipped repeatedly. Your family will be in my prayers over these days and especially as we head into Thanksgiving and Christmas!! What a gift for us to have you continue her blog. I feel a loss at not having known her. The thought of returning to Cambodia afterwards must feel as though you are returning to the moon. I ache for your family. Please be kind to yourself over these days and find time to go outside and breath. Gail, I am so sorry for your loss. I looked forward to reading her blog and also to opening my email and getting another awesome recipe from Joan. Prayers for you and your entire family. So, so sorry for your loss. I’m very sorry for your loss. I’m following this blog from Italy and I loved every recipe shared by Joan. There are not enough words to bring consolation so I just want to give you and your family a big virtual hug. Hi Gail, I’m so very sorry for your loss. Joan was such a beautiful and bright spirit. I am so grateful that I got the chance to know her as a blogger and a friend. I love that you are carrying her legacy forward. I am happy to help in anyway to keep her voice alive in our beautiful food blogger community. You and her entire family are in my prayers. I am truly sorry for your loss and praying for comfort, strength and peace for you all of you and especially Joan’s children. I found out through another food blogger I follow, who posted one of Joan’s recipes as a tribute. That food blogger is Julie @The Little Kitchen. I will now sign up for your blog, will definitely try the cambodian coffee, and thank you for reaching out in this time of sorrow. So sorry to hear that Joan has passed away, sorry that you lost a sister and her children lost their mother. I never met her but considered her a friend and kindred spirit if only through her recipes which were always amazing and the discriptions of her life and baking adventures. I’m sure that I speak for most when I say we are pleased that you will continue in her stead and look forward to following this wonderful blog. You and you family are in my thoughts and prayers. so sorry for your loss. i follow her blog and was so sad to hear the news. prayers that you and your family find comfort in this difficult time. I am VERY sorry to hear of your sister, Gale’s passing. 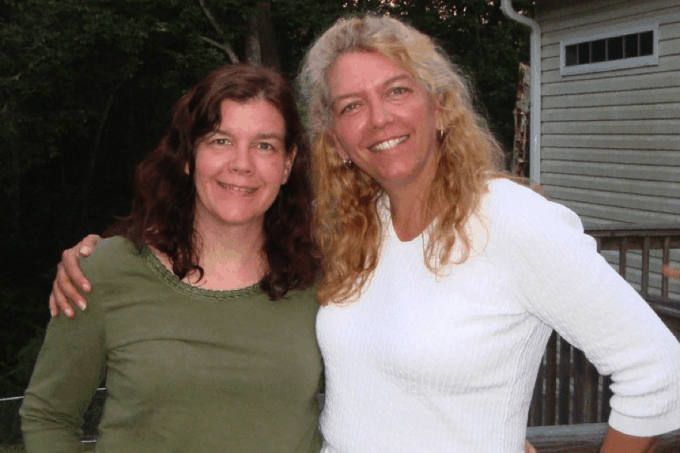 I absolutely love her posts and her site…having lost both of my only two sisters and in reading that it was Gale’s wish that her work be continued, I pray that continuing her site will give you an added connection to your loved one. She brought light into so many lives and I for one am thankful…cry through it and take your time in continuing her work. I’ll pray for you comfort, guidance and strength…my regards to you and your family. I am very sorry for the loss of your sister. I pray that your family comes through this troubled time. I remember fondly drooling over her recipes. Thank you Joan for being so kind as to share your lovely recipes with us. We will miss you. Thank you Gail and Kim for continuing the blog. I am so sorry to hear of Joan’s death. I am sending prayers and condolences to her family. Joan’s blog is one of my favorites and always made me smile when reading her posts. Thank you for continuing her blog. I am so sorry for the loss of your sister. I “knew” Joan online for three years and she was so amazing, helpful and always gracious! While I will miss Joan I am so happy to hear that she will live on through her blog. Your family is in my prayers!